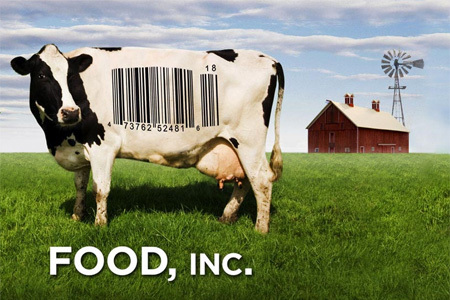 à la mode | food, inc. It was definitely a thought provoking film. You’re right- everyone should see it. My husband and I couldn’t agree more. I love how it provides insight on what we’re eating and the dilemma we all have between choosing food products based on price vs quality. We are actually on an organic kick right now, so it was nice to discover your blog recently and your recommendation to purchase free range organic eggs for the risotto recipe.